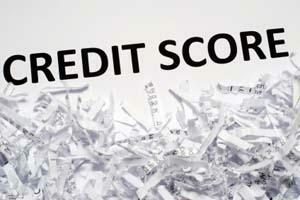 A good credit score is key to mortgage qualification. An acceptable credit score for mortgages can make the difference between being considered for or denied a mortgage by a lender. Your credit score can also have a big impact on the type of loan and interest rate you are offered. The Fair Isaac Corporation (FICO) developed the concept of a credit score in the 1950s as a way for lenders to mathematically evaluate a consumer's ability to handle credit. Prior to the FICO score, credit and mortgage lenders had to rely on their subjective evaluation of the consumer's ability to payback the loan. With the FICO system, mathematical "scores" could be applied to each fact known about the consumer. Then, after the scores were compiled, the lender could have a total numerical score for each consumer to show their credit worthiness. How much does the consumer currently owe? Has the consumer been paying back the credit they have borrowed? Does the consumer seem to be using all of the credit they are given? Credit scores typically range anywhere from about 300 to over 900. The higher the credit scores the better. Most consumers have a credit score somewhere around 600 or 700. Their credit score can vary as much as 100 points within a year based on how they are handling their credit. A few late payments, applying for several new credit cards or defaulting on a loan can have a major impact on the credit score. Most mortgage lenders want to make loans which they can eventually sell to Freddie Mac, an organization which is chartered by the Congress. Freddie Mac buys the loans from the lenders and then the lenders use the money they receive to make new loans. Mortgage lenders will follow the Freddie Mac standards when making their loan and interest rate decisions. Potential borrowers with credit score around the 660 level will probably be offered standard loan products and interest rates. Borrowers with higher credit scores will have a wider selection of types of loans and will be offered a lower interest rate. A borrower with a credit score above 750 will be offered a significantly lower interest rate than a borrower with a credit score of 660. Some lenders will offer a lower interest rate with as little as a 30 point difference in the credit score. This lower interest rate can make a big difference in the homeowner's monthly mortgage payment. Borrowers with credit scores between 620 and 660 may still qualify for a mortgage loan; however, the mortgage approval process may be more detailed and make take additional time. The borrower's credit history, assets, investments and income history may be reviewed in detail and the borrower may be required to put down a large down payment. If approved, the borrower may not be offered a traditional mortgage loan. Instead they may be offered an adjustable rate mortgage with an interest rate that frequently increases. Freddie Mac is often reluctant to purchase a loan with a borrower who does not have an acceptable credit score for mortgages - such as a credit score below 620. As such, borrowers with credit scores lower than 620 may find it very difficult to qualify for a mortgage loan. If they are accepted, it may be for a mortgage with a very high interest rate.